When most people think of Amazon, they think of shopping. At least, that’s what the company and the brand is famous for. Other than Amazon Affiliates How To Turn Your Amazon Links Into Affiliate Links How To Turn Your Amazon Links Into Affiliate Links Read More , everything at Amazon has had an associated cost. However, as time goes on, it seems that the company is starting to appreciate the value of providing free services and products to customers. One example is Amazon S3 4 Great Uses for Amazon's S3 Web Services 4 Great Uses for Amazon's S3 Web Services Despite Amazon being most well known for their retail services, they actually offer a host of web services for developers and home users that take advantage of Amazons experience and scalability with massive amounts of... Read More , which James covered previously, where you can get 5GB storage space absolutely free. 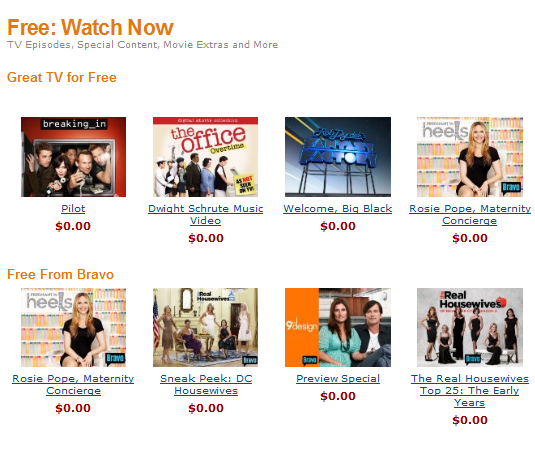 Another service that Amazon offers, and many people use, is the ability to download music and movies. 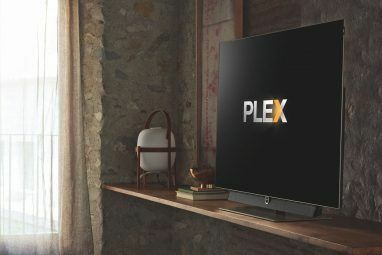 There’s so much demand for video content that can be instantly streamed that Amazon renamed the entire streaming section “Amazon Instant Video,” commonly referred to by many fans as “Amazon Video On Demand”. While it’s not obvious when you get to the main Instant Video page, where you’ll see lots of TV shows and movies that you can download for a fee, there’s actually an decent-sized library of free video on demand files as well. To find them, all you have to do is click on the “Getting Started” link at the top of the main page, and then click on the “Free Videos” link just under the header image. In the free area, you can start browsing all of the videos that you can immediately watch right now at no cost. There are a few different ways that you can watch these videos, and I’m going to cover each of them. The simplest method is just to click on the video you want to watch and click on the “1-Click Free” button. 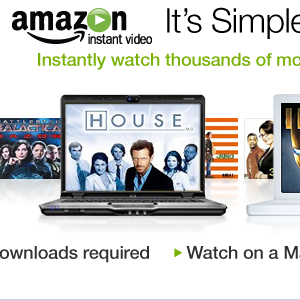 You can watch the free movie or TV show in the embedded player right on Amazon. You can maximize the video and watch it full-screen if you want. If you’re a fan of sites like Hulu and you get most of your TV and movie programming on the Internet, then this is a really cool resource to add to your list for free video content. If you want to stay up to speed on the latest new videos that become available at Amazon Video on Demand, you can sign up with the official Amazon Video Twitter page where you’ll get a steady stream of the latest discounted and free videos to watch. Aside from the online approach to watching these free videos, you can also download Amazon’s free app called Amazon Unbox. Amazon Unbox is a desktop application you can use to access and play videos from your Amazon video library. What not everyone realizes is that you can also use Amazon Unbox to download the actual video file to your hard drive and use it however you like. After installing Amazon Unbox, click on the “My Videos” tab and you’ll see your collection of videos from your online Amazon video library. The videos don’t actually download to the player until you click on the video and then click on the Download button. Once you click on the download button, the video file will download to your PC, and on the “My Videos” screen, you’ll see that the status of the video now allows you to play the video. Most people just click to play, and then watch the video in the Amazon Unbox video player. Except – you don’t have to. Once Unbox downloads the video file, it’s actually available for you to use however you wish. To find out where the actual video file is on your PC, click on “Settings” from the top menu and then choose “Preferences.” On this window you’ll see a field for “Video Folder Location.” This is where you can go to the actual video files for everything you’ve downloaded using Amazon Unload. For example, here you can see my download of the House video. There’s one icon file for each video, and then a Windows Media File for the actual video itself. There’s no reason you need to use Amazon’s video player to watch this video, just copy and paste it wherever you like. 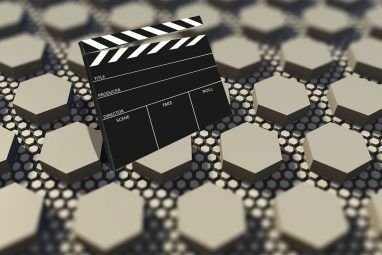 Better yet, upload the file to your own web server (using any upload utility that doesn’t block large uploads), and you can embed these full length, free videos right on your own website. 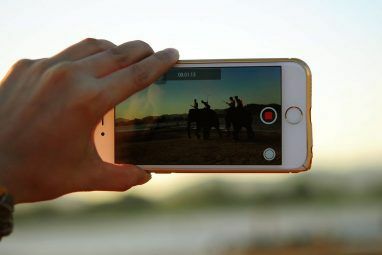 Replace the image link with the location where you uploaded your video file, and now you can watch the free full-length videos right from your page. Doing this is a unique way to keep your collection of your favorite free videos in a spot where you can watch them any time you like and from anywhere in the world (if you have the server space to store them). Unlike other video streaming websites where it’s nearly impossible to download and store the actual video files, Amazon is really flexible. Whether you want to quickly watch a video right at the Amazon website, download the video and watch it on Amazon Unload, or just open the video file in any player of your choice – with Amazon Video on Demand, the choice is yours. Did you know you could get so many free videos at Amazon? What’s your favorite method of watching Amazon videos? Share your thoughts in the comments section below! How can we watch the movies on our tv? Thank you for all this info ! Can you put them on an iPhone or an iPad2 ? Or do you need an extra app ? you cannot transfer Amazon Video On Demand videos to iTunes without removing the DRM (digital rights management). Hence, you cannot play them on the iPhone or iPad2. Once you've downloaded the file to your PC, can you use it for a fanmade video for youtube? Edit it and stuff?? Hi - I believe you can edit them, but I'm not certain of the legality of it. I think you'd probably run into problems if you try to upload them to youtube...not certain though. Yes (to both of you) - just go into your preferences and look at the location. That's where the downloaded file is. Just get it from there and copy it wherever you like. For example in this article I used it to embed on my own website, but you can just copy that file and put it anywhere. can I save the video after downloading?